Formerly the Sovereign Elite Deposit range. Tested and certified by the ECB-S to European standard EN 1143-2D ensuring Eurograde II status. These safes are also AIS Approved. 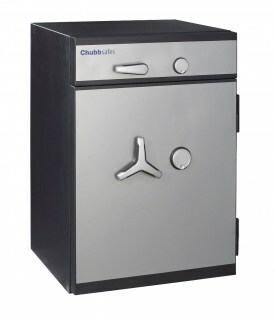 Each model is secured with an EN1300 class A high security double bitted key lock on both the door and deposit drawer, supplied with two keys per lock. Electronic and mechanical dial combination lock upgrades including dual locking are available as an optional extra. Deposits are made via a lockable drawer unit . 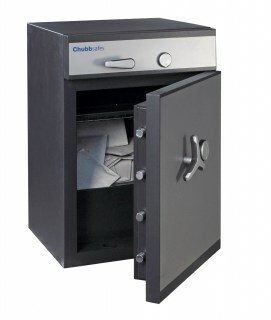 The large capacity drop area can accommodate money bags, envelopes, packages and deposit capsules. 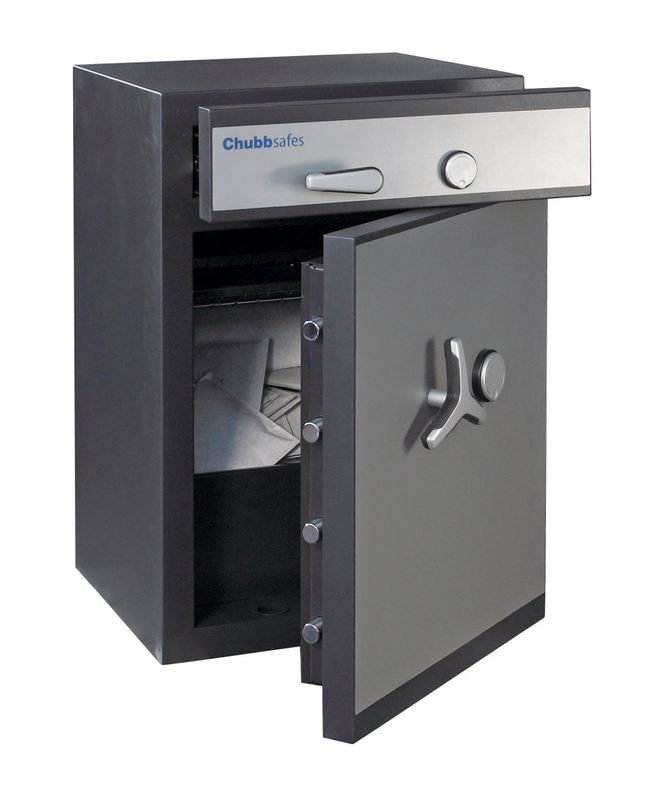 The safe also includes a deposit retaining plate - useful when many deposits are made throughout the day ensuring deposited items remain in the safe when the door is opened. Constructed using Chubbsafes lightweight barrier material.